Like businesses of all sizes, midmarket firms are focused on reducing operational costs and improving profitability. Midmarket firms, though, have a set of unique challenges and opportunities that will shape their ability to manage expense and boost the bottom line. 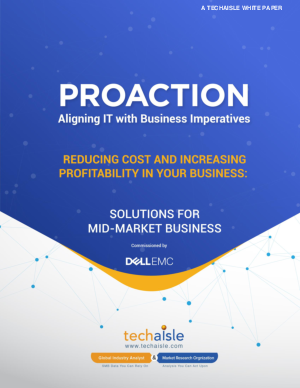 This Proaction Series report, commissioned by Dell, will highlight technologies to deliver the clearest cost and profitability benefits to midmarket businesses.